On September 13, 2006, the life of Anastasia De Sousa, a first-semester International Business student, was tragically cut short. 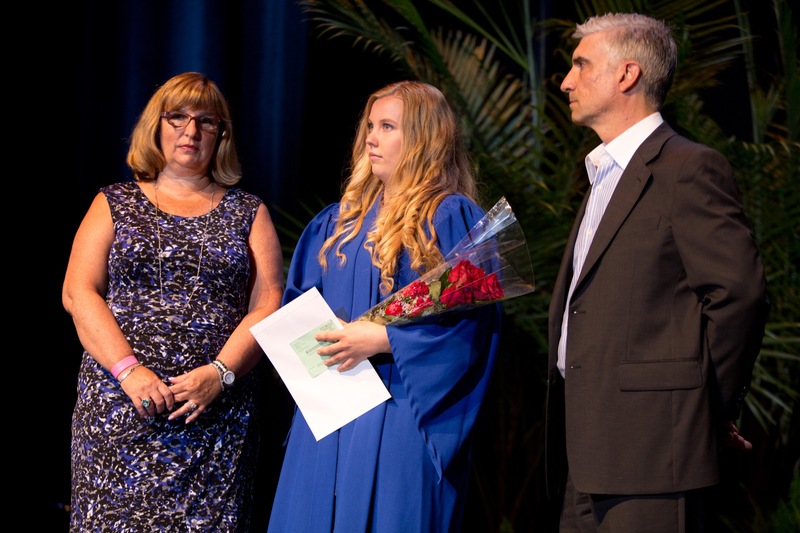 Together with her parents, Louise and Nelson De Sousa, Dawson College established a memorial award fund in her name so that every year, deserving Dawson students can pursue their dreams. The Anastasia Rebecca De Sousa Memorial Award Fund was officially launched on October 17, 2006, and has raised more than $120,000. This fund allows Dawson College to ensure that Anastasia’s name will live on in perpetuity by benefiting students through graduation awards and in-course scholarships. Anastasia faced many health and learning challenges in her short life and it was her parents’ wish that the award recognize perseverance and accomplishment in the face of adversity. The first-ever Anastasia De Sousa Memorial Graduation Awards were given on June 19, 2008 at Convocation. Louise and Nelson De Sousa made the presentations to two graduating students who had faced many challenges of their own. One had been seriously injured in the attack that took Anastasia’s life. Nearly 300 individuals or companies made donations to the Anastasia De Sousa Memorial Award Fund; $40,000 was raised by one individual alone. Michael Wexler, a Dawson student who has since gone on to study at McMaster University in Hamilton, Ontario, created the blue bracelet campaign, selling the rubber awareness band for $2 apiece, so students could also contribute to the fund. Michael went on to be awarded the RBC Royal Bank Financial Lifeskills Scholarship and a National Canada Millennium Scholarship Entrance Award for University. For information on giving to the Anastasia De Sousa Memorial Award Fund.